It’s something that always mystifies me, it does seem that a lot of developers don’t know regular expression syntax very well. This came up when I was on some SharePoint 2013 training just before Christmas. SharePoint 2013 introduces something called “Routing Rules”. These are rules that allow you to direct traffic to different front-end servers (or pools of servers), allowing you to isolate traffic, route to better health servers, etc.. Spence Harbar has a very good article about it. Edit: I’ve had to break this down into parts – for some reason WordPress throws a 403 error if I don’t. I think it sees this regex as a security risk! Reads like it should work pretty well to me. I didn’t realise before the @ was so generous. And you could shrink it by using a case insensitive operator. It fascinates me, but it seems like a lot of developers don’t know a lot about cryptography. Certainly, the litany of security bloopers caused by incorrectly implemented crypto makes it appear that way. Encryption isn’t something that I work with every day, but as a web developer you can’t really get away from needing to secure something – and that means encryption.So, to overcome some of this it’s worth a bit of reading. Bruce Schneier is a pretty interesting author. His books on Applied Cryptography and Practical Cryptography are excellent, and well worth a read for anyone starting to work with crypto. His blog is also an interesting discussion of security and risk in a wider context. Troy Hunt has managed to write a number of posts that have grabbed my attention over the year or so. “Lessons in web site security anti-patterns” is just that, “A brief Sony password analysis” is fascinating, and “Our password hashing has no clothes” was eye opening. I like that his posts are strongly based on systematic analysis. Cryptography on StackExchange can be interesting. It’s where I first heard of scrypt, which is quite interesting. Anyway, I’ll try and update this if I find new, useful resources, or post your own favourites in the comments. This is a little note for myself; don’t forget lookbehinds (and lookaheads) in regular expressions as a way of matching text that you don’t want to replace. This pattern find any new line character ‘n‘ and checks if the preceding character ‘(?< … )‘ is not a carriage return ‘!r‘. This is neater than my having a capture group for the preceding character, and then having to put that group into my replacement pattern. In VS 2010, while you have the solution open in Solution Explorer, select File-> Source Control-> Change Source Control, could you click on Bind for each project/solution? Binding provides version control functionality. 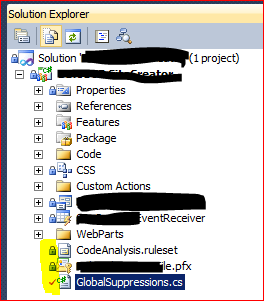 This includes various version control icons that indicate status in Solution Explorer.